Andrew brings a huge passion for real estate and for fine tuning the sales process to his role as professional development and Academy manager. He takes great satisfaction in seeing others upskill themselves and guiding them to the next level of their career. Ciaran Lowney is Head of Operations for Harcourts New Zealand. In this role, Ciaran ensures Harcourts continues to lead the real estate industry through outstanding systems, products, training, marketing and technology. Ciaran also plays a key leadership role in ensuring the Harcourts’ team and culture thrive. Ciaran works closely with the New Zealand CEO, heads of departments and Harcourts International executive leadership teams, as well as business owners and managers within Harcourts New Zealand franchises. Prior to joining the Harcourts New Zealand corporate team, Ciaran was Chief Financial Officer for Harcourts Cooper & Co, Harcourts’ largest and most successful franchise internationally. He has also held several financial management roles outside of the real estate industry including importing, recruitment, financial services and media. Hanna leads the New Zealand Marketing team and works across the Harcourts franchise group nationally. In this role, her key functions are to grow the brand profile, and provide marketing support to Harcourts’ business divisions and franchises to drive growth. 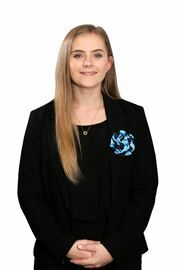 Prior to joining the Harcourts New Zealand corporate team, Hanna worked in various marketing roles developing upmarket brands in New Zealand tourism and automotive industries. Her professional experience also includes sales, operations management and customer service. 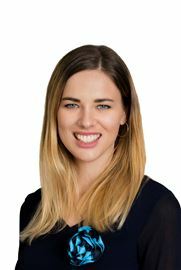 Kelsey spent her early career specialising in all things property at a Taranaki-based law firm, servicing clients local to Taranaki as well as New Zealand wide through an innovative online portal. 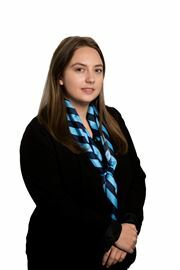 As an Associate, Kelsey led the property and commercial team and managed all workflow through the online branch. More recently, Kelsey dabbled in the emerging legal tech sphere working as both a product tester and a Customer Success Manager for a document automation start-up. 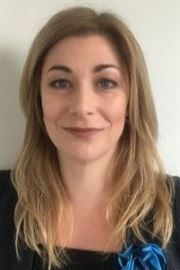 She joined Harcourts New Zealand in September 2017 following a move to Auckland. As Legal Counsel for Harcourts New Zealand, Kelsey is responsible for ensuring franchise compliance across our network and works closely with the executive team on a range of legal and strategic matters. Kelsey studied her LLB at Victoria University of Wellington and was admitted to the bar in New Plymouth in 2015. Minnie is the Business Operations Manager for Harcourts NZ, responsible for supporting offices, tech team and others. She has a number of years of property management and sales experience and has intricate knowledge and expertise on all aspects of the real estate industry. Through the experience from working in the real estate industry, Minnie understands better the emotional connections for communication for work and business. The effects are just marvelous with better client communication and more confidence with subject knowledge. Shane Prasad is the Northern Regional Manager for the Northern Region of Harcourts New Zealand. In this role Shane assists Harcourts franchises to reach their full potential by utilising the knowledge base, services and technology support of the Harcourts New Zealand corporate team. After a successful career as a sales consultant in Sydney, Shane started his own boutique real estate agency, Ascend Property Group. Catering to Sydney’s Sutherland Shire and surrounding areas, Shane and his team at Ascend Property Group built up a loyal customer base, servicing clients’ residential sales and property management needs. 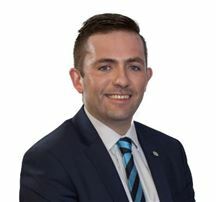 Shane also has a background in finance and mortgage broking, having worked in the banking sector for over seven years prior to turning his hand to real estate. Customer focused and driven, Shane believes real estate is about ensuring outstanding customer service that creates clients for life. Tony Kidd is General Manager for NAI Harcourts New Zealand. In this role, Tony is responsible for the growth of the NAI Harcourts commercial brand. He provides strategic guidance and leadership to ensure NAI Harcourts continues to be established as a leading commercial real estate provider in the New Zealand marketplace. Tony has significant business and commercial real estate experience, obtained in both New Zealand and the Middle East. Until recently he was the General Manager of a large asset management company in the United Arab Emirates. Tony has worked in real estate for over 35 years and during this time has held a variety of roles, giving him huge industry knowledge and experience. He has been a highly successful sales consultant and business owner, held various REINZ committee roles, and in his current role is in charge of developing real estate businesses in the Central Region for the Harcourts Group Ltd. A licensed agent under the REAA 2008 Tony's real estate career began in Hamilton in December 1979. He completed his Associate qualifications in December 1984 and was granted status as an associate of the REINZ in March 1985. He was awarded Fellowship in April 2004.Prior to his current role Tony founded Online Realty Ltd ~ a member of Ray White and operated a very successful multi-disciplined business with specialist residential, rural, commercial and property management businesses. Before selling in 2007 the Hamilton office was the number one New Zealand Ray White franchise and number two Internationally out of 804 offices. In addition to his private professional career, Tony has taken pride in serving on the Waikato, Bay of Plenty and Gisborne Districts Real Estate Institute. Tony is thrilled to hold the role of Regional Manager for the Harcourts Group offering his experience to assist Business Owners grow their businesses. Jodine joined the Harcourts Group in August 2018 as Head of Property Management for New Zealand. Calling this position her ‘dream role’, Jodine says, “real estate is in my blood, as both my parents were real estate agents. This is a new challenge to me and to be able to promote property management as a whole is exciting. The ability to educate New Zealand landlords on how important a professional property manager is to their investment plan is something I look forward to fulfilling.” Prior to joining the Corporate team at Harcourts, Jodine most recently held the position of General Manager – Commercial Property Management for NAI Harcourts on the North Shore of Auckland. Jodine has held the position of Business Manager for Auckland Property Management and NZ Business Development Manager for Rockend, supplying software to the Property Management and Body Corporate industries in NZ. During her time as a BDM, she worked with many businesses throughout New Zealand including Harcourts which helped Jodine to build on her existing knowledge of the industry and her relationships with Business Owners and Property Managers in the Harcourts Group. 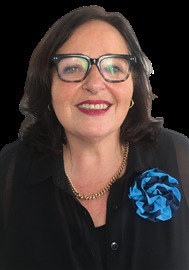 Jodine’s background in real estate exceeds 27 years and although she has focused on commercial and residential property management throughout her career, she also has extensive experience in body corporate management, holiday rentals and business management. Jodine specialises in systems and processes, but her focus remains on building relationships. Jodine graduated in May 2016 from Auckland University with a Post Graduate Diploma in Business, attended Toastmasters for 4 years and is a licensed sales consultant. Cassie has excelled in several roles within the Harcourts NZ corporate team, including managing reception, assisting the Business Operations Managers and supporting the Legal Counsel before stepping up to head the administration team and to efficiently manage the day-to-day running of the Harcourts NZ corporate office. Chantal is part of the New Zealand Marketing team and works across the Harcourts franchise group nationally. In her role as Campaign Manager, she works in a project management capacity to ensure the efficient delivery of national and local marketing materials and activity. Joining Harcourts from the advertising industry, Chantal has over 10 years experience in account management and client service, in a variety of sectors (including home improvement and insurance), and has managed campaigns that span the full media mix.